Like so many things, Swiss, German, French and Italian food. She learned British and did fantastic Yorkies. One of the best was bread, quite rich tied in a knot and a 3 or plaited loaf, she said that it was rooted in the Jewish Tradition. My job was to go to a local proper baker and get an ounce or two (a little block) of fresh yeast. We used to get this as a treat when we were young from the Jewish bakers, Challah bread, this is platted but very light. The dough is enriched with eggs and oil, while a few tablespoons of sugar add some sweetness. It doesn’t require any fussy techniques and can be made from start to finish in the space of an afternoon, usually made for Jewish holidays and the sabbath. Ahhh, @Cerberus! you bring back lovely memories. 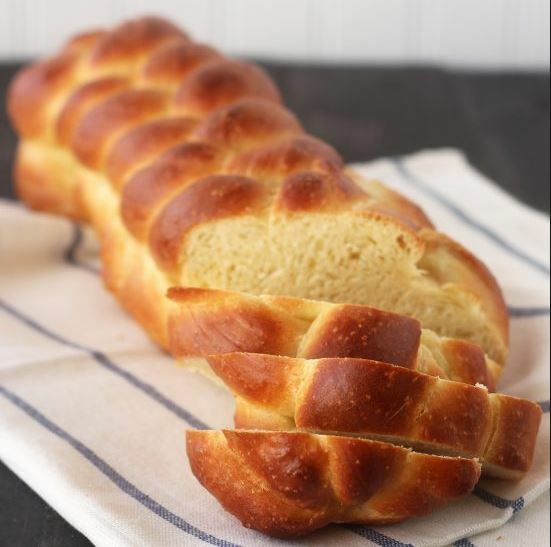 We used to eat Challah every Friday/Saturday, and my grandma used to make a fresh one at home whenever we visited. I think this is the bread @Taffy-on-Tour was referring to in his post too. That’s the one. We had it at Christmas and Easter. Christmas morning with the little knot of a roll with butter and black cherry jam was our tradition. And quite delicious it was.